Dr. Bettelli received her PhD in Blood Cell Biology and Immunology at the University of Paris 7 in 2001. 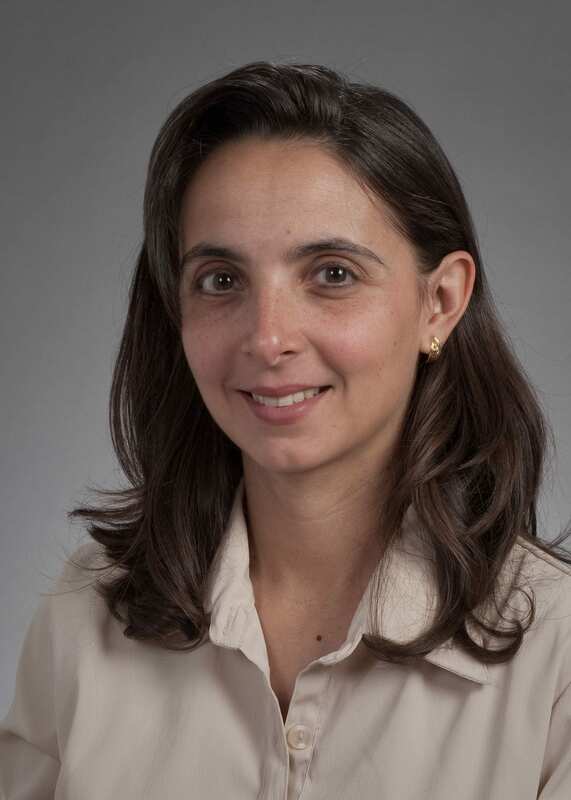 Following a postdoctoral training at the Brigham and Women’s Hospital, she became an Assistant Professor at the Brigham and Women’s Hospital and Harvard Medical School, Boston. 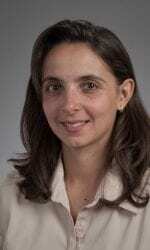 She joined the Benaroya Research Institute as an Assistant Member in 2009. Upon activation, CD4+ T cells of the adaptive immune system differentiate in different subsets of effector T helper (Th) cells named Th1, Th2 and Th17 with specialized effector functions. Each subset of Th cells orchestrates a specific immune response dedicated to clear pathogens, but when dysregulated, can also lead to the development of autoimmune and allergic reactions. Recently, a subset of CD4+ T cells that produces IL-17 (Th17) has been implicated along with Th1 cells in the development of autoimmune diseases such as multiple sclerosis (MS) and inflammatory bowel disease (IBD). However, how Th17 cells induce autoimmune disease development remains largely unknown. The mechanisms that induce autoimmunity can also promote tumor immunity and therefore be beneficial in some cancer. The laboratory’s research focuses on understanding how Th17 cells are generated and how they can mediate their pathogenic functions and contribute to tissue destruction during the course of autoimmune diseases such as MS. The overall goal of the Bettelli laboratory’s research is also to study the pathways, which modulate Th17 cells and develop strategies to block or enhance their functions. This work promises to yield new insights into the mechanisms governing the autoimmune attack process and the genesis of pathogenic T cells in autoimmune diseases such as MS and into Th17 cell biology and functions. This holds great potential for the therapeutic manipulation of specific lymphocyte responses in the context of cancer and autoimmunity. Arbelaez CA, Glatigny S, Duhen R, Eberl G, Oukka M, Bettelli E. IL-7/IL-7 Receptor Signaling Differentially Affects Effector CD4+ T Cell Subsets Involved in Experimental Autoimmune Encephalomyelitis. J Immunol. 2015 Sep 1;195(5):1974-83. Glatigny S, Duhen R, Arbelaez C, Kumari S, Bettelli E. Integrin alpha L controls the homing of regulatory T cells during CNS autoimmunity in the absence of integrin alpha 4. Sci Rep. 2015 Jan 16;5:7834. Singh AK, Eken A, Fry M, Bettelli E, Oukka M. DOCK8 regulates protective immunity by controlling the function and survival of RORγt+ ILCs. Nat Commun. 2014 Aug 5;5:4603. Duhen R, Glatigny S, Arbelaez CA, Blair TC, Oukka M, Bettelli E. Cutting Edge: The Pathogenicity of IFN-γ-Producing Th17 Cells Is Independent of T-bet. J Immunol. 2013 Mar 29;190(9):4478-82. Peters A, Pitcher LA, Sullivan JM, Mitsdoerffer M, Acton SE, Franz B, Wucherpfennig K, Turley S, Carroll MC, Sobel RA, Bettelli E, Kuchroo VK. Th17 cells induce ectopic lymphoid follicles in central nervous system tissue inflammation. Immunity. 2011 Dec 23;35(6):986-96. Glatigny S, Duhen R, Oukka M, Bettelli E. Cutting edge: loss of α4 integrin expression differentially affects the homing of Th1 and Th17 cells. J Immunol. 2011 Dec 15;187(12):6176-9. Mitsdoerffer M, Lee Y, Jäger A, Kim HJ, Korn T, Kolls JK, Cantor H, Bettelli E, Kuchroo VK. Proinflammatory T helper type 17 cells are effective B-cell helpers. Proc Natl Acad Sci U S A. 2010 Aug 10;107(32):14292-7. Jäger A, Dardalhon V, Sobel RA, Bettelli E, Kuchroo VK. Th1, Th17, and Th9 effector cells induce experimental autoimmune encephalomyelitis with different pathological phenotypes. J Immunol. 2009 Dec 1;183(11):7169-77. Awasthi A, Riol-Blanco L, Jäger A, Korn T, Pot C, Galileos G, Bettelli E, Kuchroo VK, Oukka M. Cutting edge: IL-23 receptor gfp reporter mice reveal distinct populations of IL-17-producing cells. J Immunol. 2009 May 15;182(10):5904-8. Frommer F, Heinen TJ, Wunderlich FT, Yogev N, Buch T, Roers A, Bettelli E, Müller W, Anderton SM, Waisman A. Tolerance without clonal expansion: self-antigen-expressing B cells program self-reactive T cells for future deletion. J Immunol. 2008 Oct 15;181(8):5748-59. Bettelli E, Korn T. Oukka M, Kuchroo VK. Th17 cells: Induction and effector functions. Nature. 2007; 453:1051-7. Bettelli E, Oukka M, Kuchroo VK. T(H)-17 cells in the circle of immunity and autoimmunity. Nat Immunol. 2007;8:345-50. Korn T, Bettelli E, Gao W, Awasthi A, Jäger A, Strom TB, Oukka M, Kuchroo VK. IL-21 initiates an alternate pathway to induce proinflammatory Th17 cells. Nature. 2007; 448:484-7. Bettelli E, Korn T, Kuchroo VK. Th17: the third member of the effector T cell Trilogy. Curr. Opin. Immunol. 2007;19(6):652-7. Bettelli E, Carrier Y., Gao W, Korn T., Strom T., Oukka M., Weiner H.L., Kuchroo V.K. Reciprocal developmental pathways for the generation of pathogenic effector (Th-IL-17) and regulatory (CD4+CD25+, Foxp3+) T cells. Nature. 2006;441:235-8.